I owned a 1982 W123 280CE for just over a year between mid 2013 and mid 2014. I hadn’t planned to purchase this car, but I saw it on ebay with Mercedes mis-spelled and nobody else bid on it. The car was described as needing a new radiator, but actually it needed a new water pump. This was better for me. While the labour to change the water pump is orders of magnitude more than the radiator, the part cost is a lot less. Around the same time, my brother was in need of a car and wasn’t looking to spend a whole lot of money. As a previous 280CE owner, he was keen on the car so I agreed to sell it to him for a sharp price. We did the last few things needed to get it on the road and registered. This can all be found on this website. At the time I sold it in mid 2014, it had just over 310,000km. It now has almost 340,000 and has been used daily during that time. He also put in a rebuilt steering box about a year ago. This made a big difference to how it drives. He’s now bought a late model BMW, so the 280CE is surplus to requirements. It also needs some brake work for its next registration, so makes sense to sell it. Its up on carsales.com.au and the asking price is $2,500 which I feel is reasonable for the condition. It is a Mercedes-Benz pillarless coupe after all! Ideally somebody will buy this and spend a little money tidying up the car. It’s a little tatty in places but nothing that can’t be addressed. The W123 is a great first classic car as its quite simple and can be used regularly. 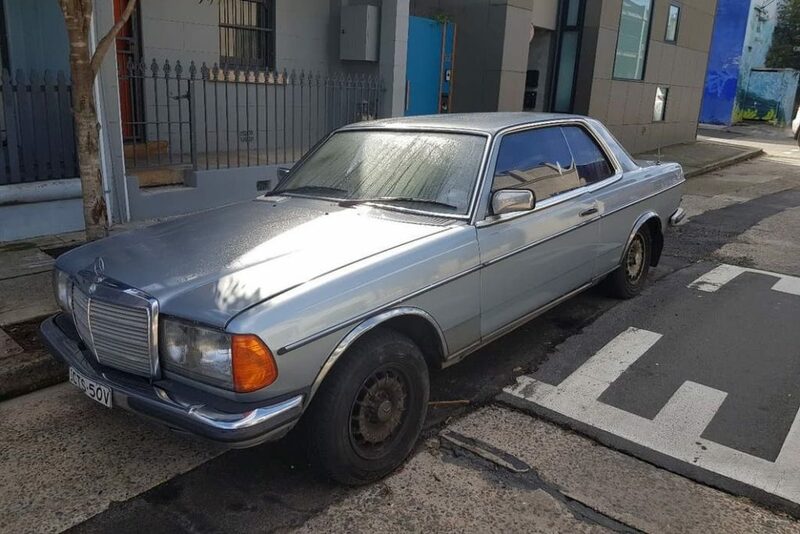 My first Mercedes was a W123.